“Malaysia” – just the mention of this name is enough to conjure images of a country with a mix of everything – from a multitude of cultures to landscapes to experiences and as a tourist / traveler you are definitely spoilt for choices. Malaysia or “Truly Asia”, as its campaign says, has been on my bucket list for a while, but somehow a trip here has never materialized. Hence when MalaysiaJao Blogathon Contest was announced by Blogadda, I saw a chance to finally visit this exotic destination and hence jumped on the participation bandwagon. For this contest, we need to write a blog post about 5 things we would want to experience in Malaysia. Tough isn’t it? More so for me since I am a budget off-beat traveler and Malaysia has numerous things for me to see and do. But I somehow managed to prioritize and create a mix of every thing i.e. art, culture, nature, kiddy, etc to be a part of 5 dream experiences on my bucket list for Malaysia. 1. Heritage trails in George Town, Penang – This heritage walk (or rather my aimless wandering) through George Town in Penang is for the Art and Culture buff in me. George Town is a UNESCO World Heritage Site and has a 200 year history with well-preserved colonial buildings and historical architecture.It is said that the architecture here is unparalleled anywhere in East or South East Asia. I have seen numerous pics of other fellow bloggers and feel that this should be on the travel list of every off beat traveler to Malaysia. 2. Scale the Kinabalu Park in Sabah – A visit here is a must for the Adventure Traveler in me and a way for me to train and challenge myself. This park is again a UNESCO World Heritage Site, home to Mount Kinabalu (Malaysia’s highest mountain and one of Southeast Asia’s highest peaks) and one of the most important biological sites in the world, with between 5000 and 6000 species of plants, 326 species of birds, and more than 100 mammalian species identified. One of the most famous species found here is the gigantic Rafflesia (large parasitic plant). 3. Walking through the Mangrove swamps and meeting the orangutans in Kabili-Sepilok Nature Reserve, Sabah – I recently saw a travel documentary made on a walk through the mangrove swamps & meeting with orangutans in this nature reserve and the animal lover in me was completely sold on it. 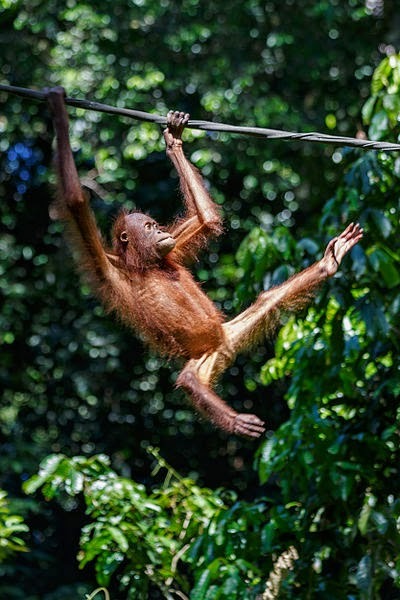 This Reserve has been named after two rivers that flow through it and has interesting and diverse array of wildlife and vegetation, various nature trails and the world-famous Sepilok Orangutan Rehabilitation Centre. The centre opened in 1964 as the first official orangutan rehabilitation project for rescued orphaned baby orangutans from logging sites, plantations, illegal hunting or kept as pets. The orphaned orangutans are treated for injuries and then trained to survive in the wild and are released as soon as they are ready. On many occasions I have even considered volunteering here. 4. 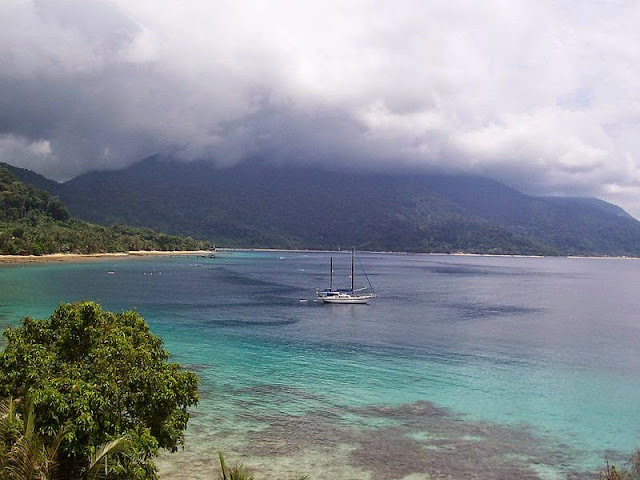 Relaxing on the beaches of Tioman Island, Pahang – I recently heard from a friend about the beautiful beaches of Tioman Island and decided that these beautiful beaches would be an ideal place to relax and rewind after scaling Mount Kinabalu. The beaches here are picturesque with twin volcanic peaks, golden sands, lush tropical rainforest and clear waters with some amazing dive sites. There is also a local legend according which Tioman Island is the resting place of a beautiful dragon princess. While flying from China to meet her Prince Charming in Singapore, she stopped to seek solace in the crystal-clear waters of the South China Sea, was enraptured by the charms of the place and decided to discontinue her journey. She then took the form of an island and pledged to offer shelter and comfort to passing travelers. 5. 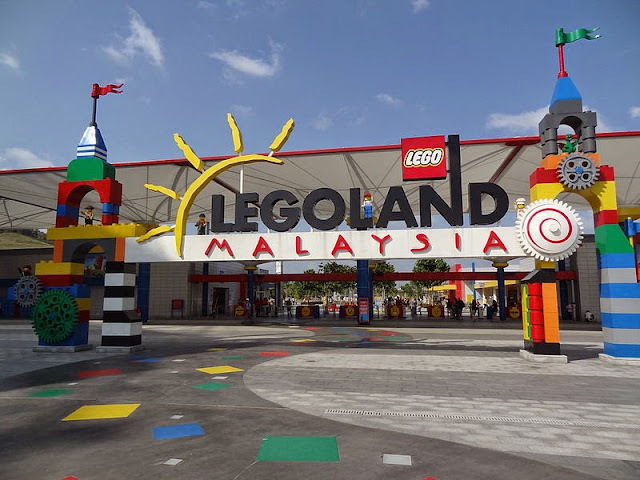 Legoland and Hello Kitty Town, Johor – For the kid in me who’s grown up with Lego blocks (smaller version) a chance to visit Legoland is like a kiddy dream come true. This international park is an out of world experience with thrilling rides, interactive displays, themed areas and Lego stores :). As a kid I used to ask my dad to always get me Hello Kitty stuff on every visit to Hong Kong and now a chance to see a world of Hello Kitty is just too good to resist. Since I havent been to any of these places myself, detailed information about the locales is courtesy Malaysia Tourism and Wikipedia and the pictures are courtesy Wikipedia.